* Wear your faith around your neck with this contemporary Personalized Inspirational Dog Tag Necklace with engraved cross, large enough for others to admire. 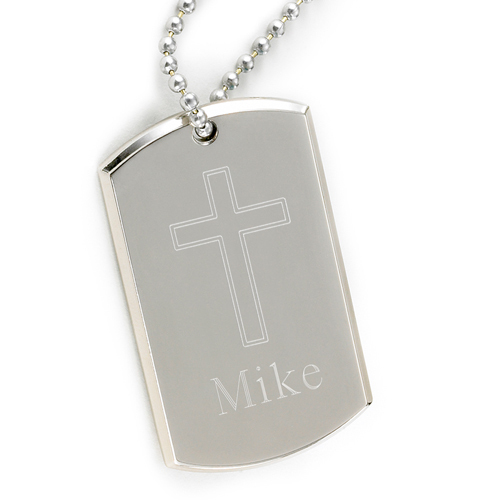 * This nickle-plated beveled-edge dog tag includes a long and sturdy chain for easy on and off and is suitable for both men and women. * Engraving includes a simple cross and room for personalization. * Measures 2" x 1 1/16". * Special Notes: Engraved products take 2-3 business days. 2" x 2" x 0.0625"